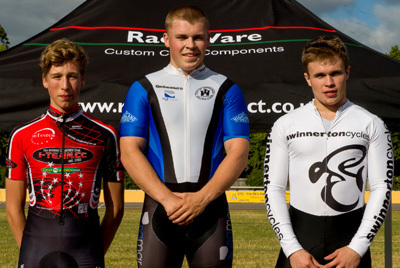 Former Palmer Park Velo teammates John Paul and Matt Gittings returned to their former home track to claim the major prizes at the third staging of the Reading Grand Prix on July 20. Paul (City of Edinburgh) beat Sean Mayer (Swinnerton Cycles) to win the final round of the National Sprinters League, while Gittings (AW Cycles.co.uk) took the Raceware direct 20k scratch race, which also doubled as the Central Division Championship. In the 15k women's only Derny Race, Janet Birkmyre (Champions Systems) - paced by Graham Bristow - beat off a determined challenge from Anna Railton and Sarah Brook to take the honors. Adel Tyson-Bloor (VC St Raphael), paced by Tim Read, had earlier set a fierce pace in the six-up final before paying for her brave efforts in the later stages. But Birkmyre could not double up in the women's race in the RaceWare direct scratch, beaten in the sprint by the promising Lucy Shaw (Solihull CC) with Ireland's Lydia Boylan in third place. It left Shaw to celebrate claiming a Garmin and special mount donated by the race sponsor. 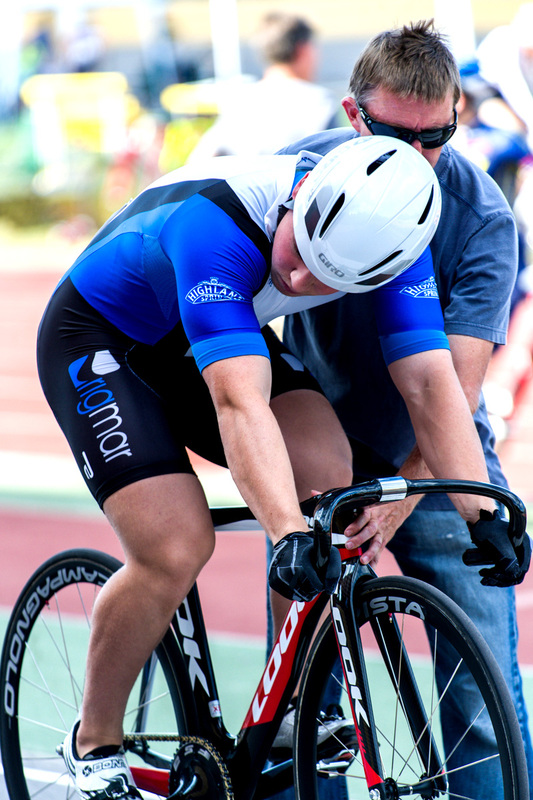 Gittings, who spends eight months of the year on a sports scholarship at Marian University in Indianapolis, also received the same and a cash prize for the first across the line in a winner takes all format. He held off a determined late challenge from Readings Rob King, with his AW Cycles.co.uk teammate Alex Peterson in third place.Gittings was joined by Peterson, Nick English and junior Max Stedman as AW Cycles easily won an open team pursuit and the divisional championship from a Police UK CRT team, which included former Reading Track League stand out Steve Legg. 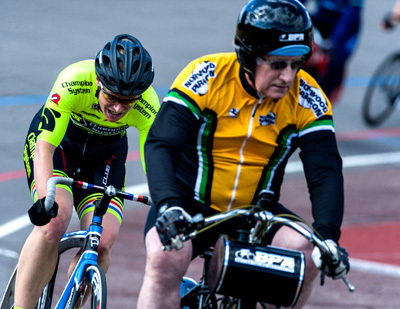 Gittings, who will be defending his National Derny Championship title in another Tricyclesports.co.uk promotion when it is rearranged later this year, also stretched his legs to win the earlier 12 laps scratch race from Louis Magnani of Prestige Velo. 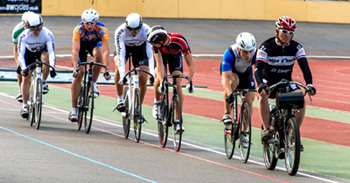 Jason Streather (VC St Raphael) took the 12-lap points race after a three-man breakaway with Peterson and Mark Shepherd (Banjo Cycles).English scooped the majority of the prizes in the Course de Primes where the leader on each lap of ten was rewarded. 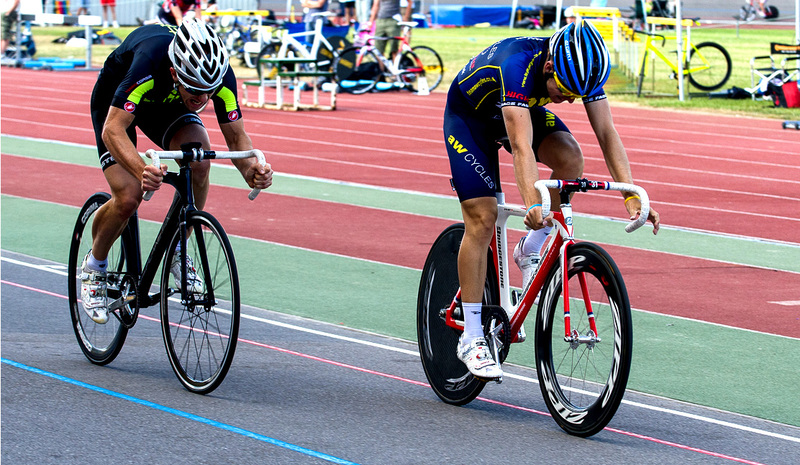 While the endurance riders were battling it out, some of the countrys leading young sprinters were strutting their stuff in their multi-round competition. 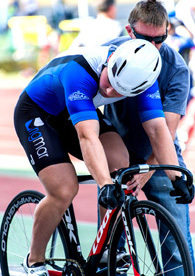 Mayer, who has wrapped up the overall title, was the fastest qualifier in the 200m flying efforts, with youth rider Joe Truman edging Paul out for second. 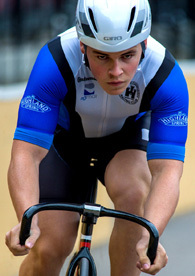 Paul, the world junior sprint champion in 2011, was biding his time for the rounds and turned the tables on the youngster in the semifinals. Mayer beat Leon Gledhill (Sportscity Velo) to set up the expected showdown with 20-year-old Paul. Truman, producing his best performance against the seniors, beat Gledhill for third before Paul demonstrated just why he is so highly regarded by blazing clear of Mayer in the home straight of the final. 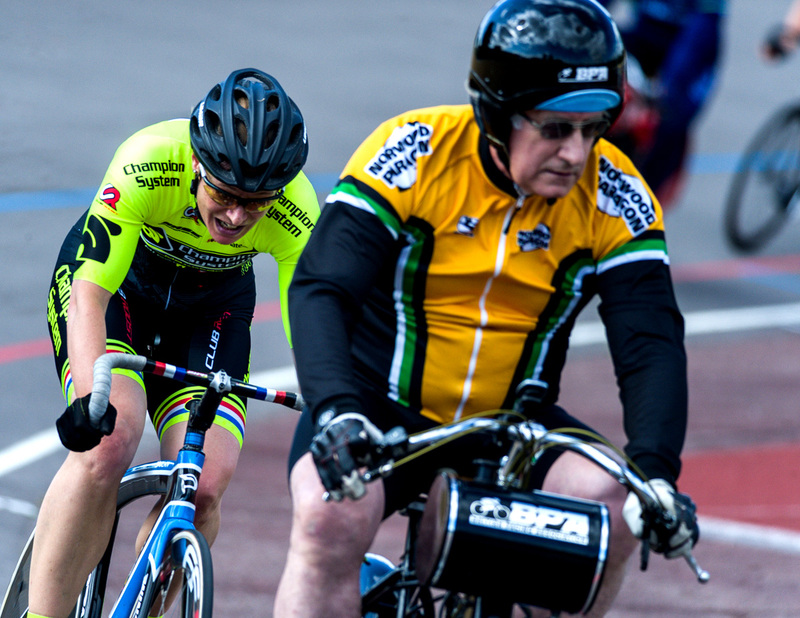 Paul also cruised to victory in the Keirin final while Boylan won the women's version. 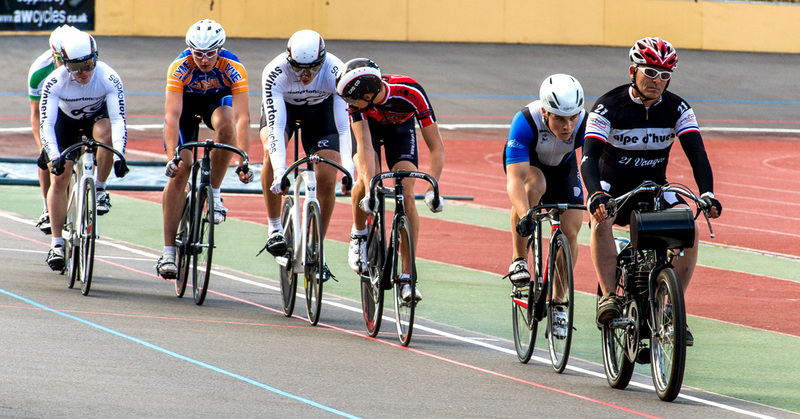 3rd & 4th: Joe Truman (I Team-IC) beat Gledhill (Sportscity Velo) - 12.48.